There is a new paper, a meta-review, receiving much attention. Being a meta-review this study does not shed light on the causes of this drastic decline in the manliness of western men. It speculates that this may be due to chemicals or lifestyle or smoking or obesity or pesticides or some other factor. This speculation is just speculation and smoking or pesticide use would have caused stronger effects in Asia. They are quite right, however, in not following the sheep and including global warming as a possible cause. However they seem to be ignoring some other relevant factors. It stands to reason that if gender difference is eliminated then sperm count and concentration will also decline. It follows that eliminating gender difference will result in the elimination of reproduction and species extinction. MedicalXpress writes: ….. between 1973 and 2011, the researchers found a 52.4 percent decline in sperm concentration, and a 59.3 percent decline in total sperm count, among men from North America, Europe, Australia and New Zealand …. In contrast, no significant decline was seen in South America, Asia and Africa. ….. The study also indicates the rate of decline among Western men is not decreasing: the slope was steep and significant even when analysis was restricted to studies with sample collection between 1996 and 2011. ….. 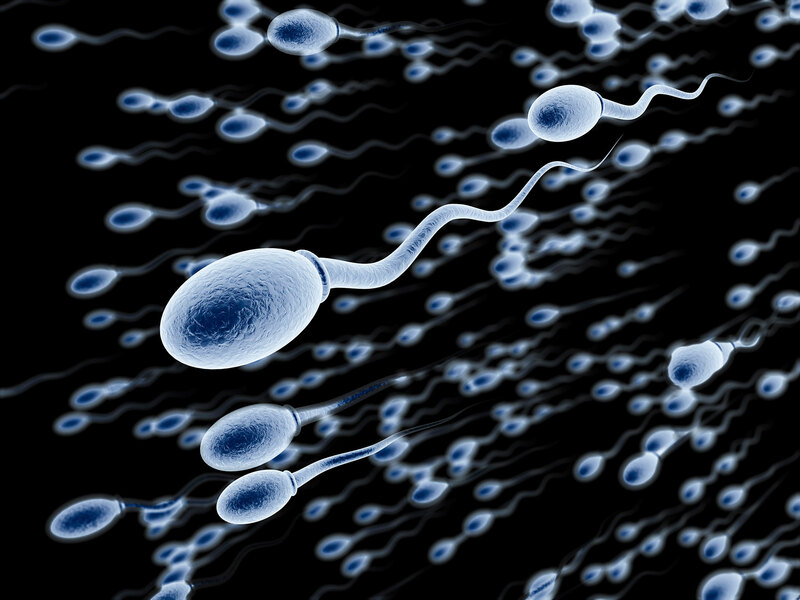 While declines in sperm count have been reported since 1992, the question has remained controversial because of limitations in past studies. However, the current study uses a broader scope and rigorous meta-regression methods, conservatively addresses the reliability of study estimates, and controls for factors that might help explain the decline such as age, abstinence time, and selection of the study population. “Given the importance of sperm counts for male fertility and human health, this study is an urgent wake-up call for researchers and health authorities around the world to investigate the causes of the sharp ongoing drop in sperm count, with the goal of prevention,” said Dr. Hagai Levine, the lead author and Head of the Environmental Health Track at the Hebrew University-Hadassah Braun School of Public Health and Community Medicine, in the Hebrew University of Jerusalem’s Faculty of Medicine. The findings have important public health implications. First, these data demonstrate that the proportion of men with sperm counts below the threshold for subfertility or infertility is increasing. Moreover, given the findings from recent studies that reduced sperm count is related to increased morbidity and mortality, the ongoing decline points to serious risks to male fertility and health. “Decreasing sperm count has been of great concern since it was first reported twenty-five years ago. This definitive study shows, for the first time, that this decline is strong and continuing. The fact that the decline is seen in Western countries strongly suggests that chemicals in commerce are playing a causal role in this trend,” Dr. Shanna H Swan, a professor in the Department of Environmental Medicine and Public Health at the Icahn School of Medicine at Mount Sinai, New York. While the current study did not examine causes of the observed declines, sperm count has previously been plausibly associated with environmental and lifestyle influences, including prenatal chemical exposure, adult pesticide exposure, smoking, stress and obesity. Therefore, sperm count may sensitively reflect the impact of the modern environment on male health across the lifespan and serve as a “canary in the coal mine” signaling broader risks to male health. It also follows that western men pose less of a risk to women looking for promiscuity, but that western women who wish to have children have a better chance with men having a higher level of manliness. The alarmist meme of a global population explosion leading to catastrophic depletion of resources and mass famines was already obsolete 20 years ago. The alarmism reached its peak in the 1970s and 1980s (peak oil, peak food, peak water, peak resources ….). At least the panicky stridency of the alarmism about a population explosion has long gone (though it has now shifted to become panicky stridency about catastrophic global warming). 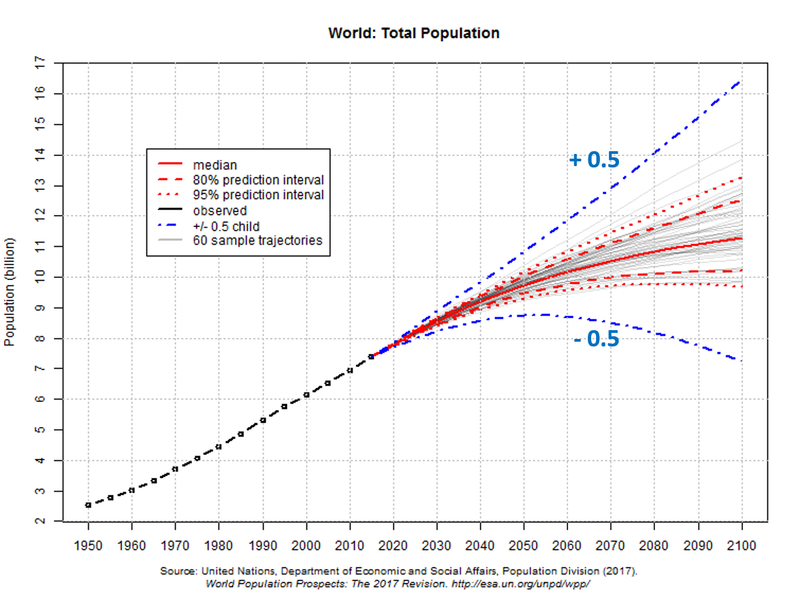 The 2017 Revision of the UN World Population Prospects is now available. the world’s population reached nearly 7.6 billion in mid-2017. The world has added one billion people since 2005 and two billion since 1993. In 2017, an estimated 50.4 per cent of the world’s population was male and 49.6 per cent female. However the projections are very sensitive to fertility rates and their development – especially in Africa. Actual fertility rates have always tended to be below UN projections of fertility. 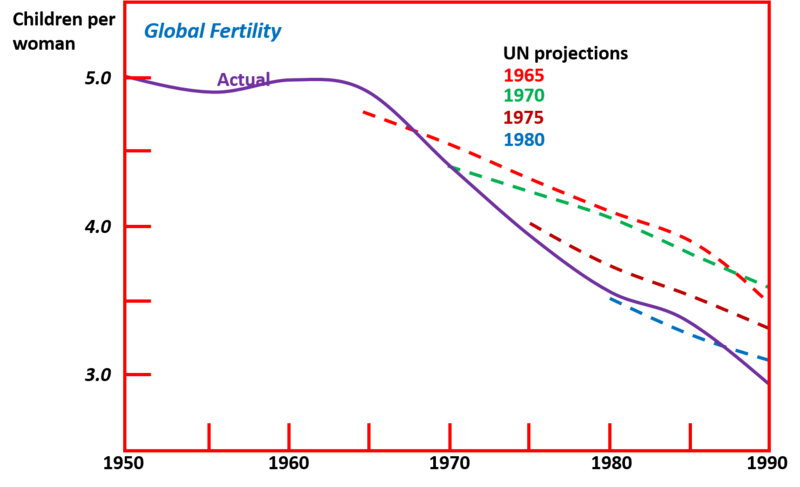 Future population growth is highly dependent on the path that future fertility will take, as relatively small changes in the frequency of childbearing, when projected over several decades, can generate large differences in total population. In the medium-variant projection, it is assumed that the global fertility level will decline from 2.5 births per woman in 2010-2015 to 2.2 in 2045-2050, and then fall to 2.0 by 2095-2100.
fertility levels consistently half a child below the assumption used for the medium variant would lead to a global population of 8.8 billion at mid-century, declining to 7.3 billion in 2100.
fertility has declined in virtually all regions of the world. In Africa, where fertility levels are the highest of any region, total fertility has fallen from 5.1 births per woman in 2000-2005 to 4.7 in 2010-2015. Over the same period, fertility levels also fell in Asia (from 2.4 to 2.2), Latin America and the Caribbean (from 2.5 to 2.1), and Northern America (from 2.0 to 1.85). Europe has been an exception to this trend in recent years, with total fertility increasing from 1.4 births per woman in 2000-2005 to 1.6 in 2010-2015. Total fertility in Oceania has changed little since 2000, at roughly 2.4 births per woman in both 2000-2005 and 2010-2015. As with Asia, I expect that the decline of fertility in Africa will accelerate with development and GDP growth. If global fertility turns out to be as much as 0.5 children/woman less than the medium assumption, global population will start declining already by 2050. It may not happen quite that fast but it is now very likely that the decline will have begun by 2070. By the end of this century global population may not be much more than it is today. It is only a matter of time before the alarmists start getting panicky and strident about the impending population implosion.